Here you will find DormCo's wide selection of the coziest, ultra plush dorm sheets. For comfort you can really sink into, you've come to the right place! Here at DormCo it is our goal to provide you with the best college dorm bedding at great prices you love. You will love our great prices, but you will really love our selection of the coziest Twin XL sheets you can find! You will not only have a wide selection of colors to match your dorm room decor, you will also have your choice of the softest, coziest dorm sheets ever. Want Extra Long Twin sheets that feel like your favorite T-Shirt? Look no further than our Jersey Knit Twin XL College Bedding Sheets. 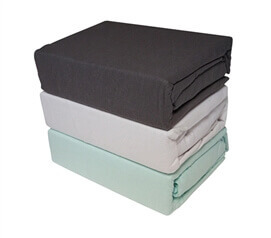 Want the softest, warmest XL Twin Sheets that you can find? You've come to the right place for our Softest College Twin XL Sheets EVER and our ultra plush Coma Inducer dorm sheets. So take a look around at our amazingly comfortable Twin XL Sheets and fall in love with the ultra plush comfort that awaits you! Make your dorm bedding ridiculously soft and comfortable with our Are You Kidding® Twin XL Sheets. Twin XL Sheets! Dorm Bedding Requires Extra-Long Twin sheets. Twin XL Sheets! Dorm Bedding Requires X-Long Twin sheets. Engulf yourself in comfort with your dorm bedding with our Me Sooo Comfy® Twin XL Sheets. TXL Sheets... The perfect warmth for winter! Your college dorm bedding collection will be incomplete without this College Jersey Knit Twin XL Sheets - 2-PACK as a cheap dorm survival kit essential. 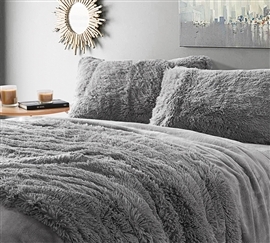 At DormCo we love providing you with incredibly comfortable college dorm bedding and are pretty proud of these Ultra Plush and Cozy dorm sheets. There are so many great options for your Twin XL Sheets in this section, you may even have trouble deciding which set of cozy Twin XL Sheets you want for your dorm bed! But that's okay because part of starting college right and strong is having an extra set of Twin XL Sheets handy for whenever you want a fresh set of dorm sheets on your bed. Fall in love with our Ultra Plush Extra Long Twin Sheets that you can really sink into. 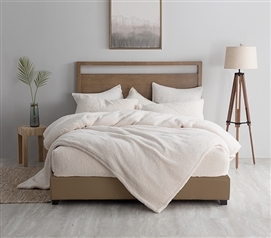 Our selection of Ultra Plush XL Twin Sheets is so comfortable that you may want to put your college alarm clock on the other side of your dorm room to force yourself out of your dorm bed!